Master Hairstylist & Owner of Lakehouse Salon & Wellness, she has been in the hair styling industry since 2005. She is highly creative, and loves a challenge! She specializes in updo's and formal hair styling. Jessica is also certified in KeraStraight Brazilian hair straightening, and PURE hair extensions. Graham is a seasoned Master Stylist. He loves his profession and working with his clients to create beautiful hair that is functional in day-to-day life. Graham has kept up to date with what is new in hair and beauty by taking continuous education classes over the years. He has taken classes locally and throughout North America for extensive training. Stylist of 23 years, Julie strives for excellence in her craft. 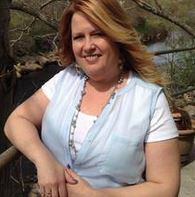 As a master stylist and Educator, Julie has joined our team at Lake House to offer a unique edge as she also specializes in all Bio Natural beauty needs. She has been a green stylist for 5 years and enjoys educating her clients on how to achieve their needs naturally. Kevan has been in the industry for 25 years. He is the owner and creator of BISH ALIVE. BISH ALIVE is an Organic Product Line made from Sea Kelp, hand picked in Nova Scotia. Kevan is very passionate not only about helping his clients look andfeel their best. He is taking great strides to help Lake House go more Green. Rebecca started her career with us in 2014, and has been eagerly learning ever since. Rebecca specializes in color services and formal styling. She is passionate about all aspects of hair styling, and is continually learning and growing in her career! . A Master Stylist in the industry for more than 20 years. She has made a conscious decision to clean up the products she uses while working behind the chair by using Ammonia Free Color and products without the use of Parabens, Phthalates and other harmful chemicals. She has also kept up to date in her areas of passion: colouring, cutting and all things wedding related. 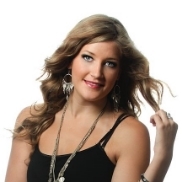 She has traveled extensively for training in the hair industry and is one of our wedding specialists. She is a Certified Curly Hair Specialist. Ginny has been a reflexologist since 2002. She is registered with NSARP (Nova Scotian Association of Reflexology Practitioners). She has just recently moved from England to Nova Scotia and is excited to set down roots and bring awareness of reflexology to her new clients here in Nova Scotia. Ginny is very passionate about Reflexology and has found it to be an amazing holistic therapy. See our Reflexology page for more info. Kristy has been an Esthetician since 2005 and an RHN since 2012. Her passion lies with guiding and educating clients on internal health, skin health and stress reduction through holistic practices. She specializes in natural alternatives to conventional beauty products, consciously choosing toxic-free plant based skin care for her Esthetics services. See our Esthetics and Wellness page for more info or call! Melanie graduated from the Canadian College of Massage and Hydrotherapy in 2010. 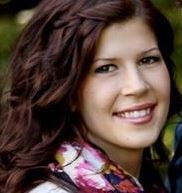 She is a Registered Massage Therapist certified in chronic pain and cupping massage and is currently studying Osteopathic Manual Practice with the CEO in Halifax. Her personalized and therapeutic approach to her clients has been both effective and greatly received. Melanie’s sole focus is on her clients’ wellness whether it is rehabilitation, prevention or relaxation. She is happy to offer direct billing for most major insurance companies. Abby is one of the smiling faces that greets you at the door when you come to Lakehouse Salon & Wellness. She is also the one that's behind the scenes making the salon function efficiently. She is always going the extra mile to ensure client and staff satisfaction.